Summary MOOMINS ON THE RIVIERA is an animated adventure in which the family go on holiday. 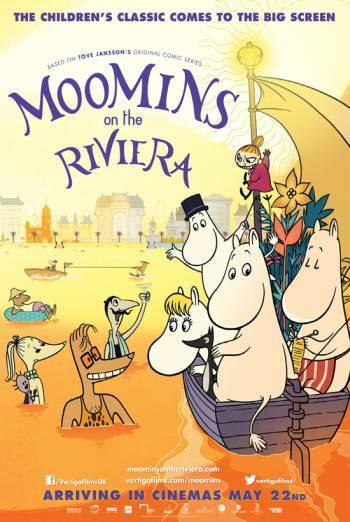 MOOMINS ON THE RIVIERA is an animated adventure in which the family go on holiday. There are occasional references to Moominpappa drinking whiskey one evening, and he and his friend are seen to be hung-over the next day, although the cause of their illness is not dwelt upon or discussed. There are occasional references to Snorkmaiden wearing a bikini, which she worries is too 'risque' and Moomin believes it is too revealing. There is then some very mild flirting between Snorkmaiden and another holidaymaker, and a scene of gambling in which she enters a casino and accidentally wins money while failing to understand that she is gambling or how the game works.